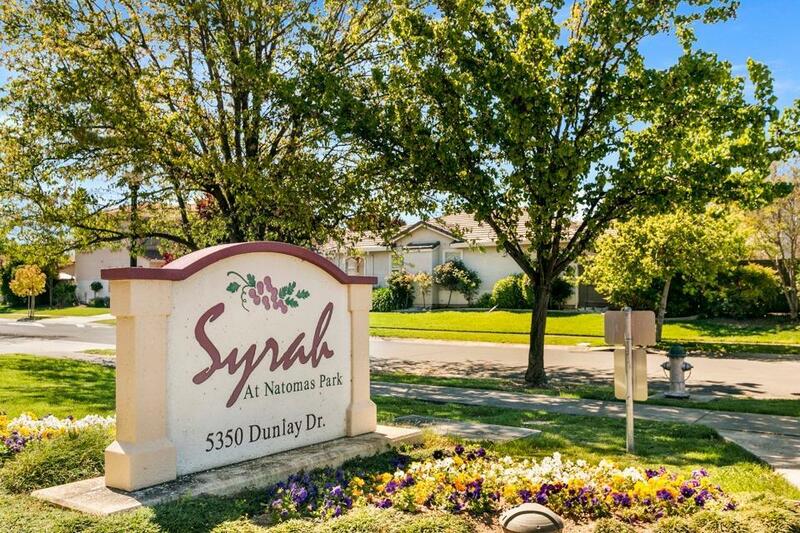 Enjoy low maintenance, resort style living in the exclusive Syrah community at Natomas Park. This in demand neighborhood offers a fitness room, Bocce court, pool & spa, and outdoor fireplace with tables & benches. The 2 car split garage has a storage alcove. The layout of the floor plan maximizes the square footage providing a great room with a vaulted ceiling, gas log fireplace and access to the outdoor balcony. The master suite accesses the balcony as well and includes a large master bath with a step in shower, separate soaking tub, dual vanity and a walk in closet. There is a loft area that can be used as a home office, library, or play area. The laundry room is conveniently located adjacent to the kitchen. Homes sell quickly in Syrah, act fast! Courtesy of Sac Metro Homes Inc.